It would appear Mother Nature is playing a joke on gardeners. The weather today, near 60 degrees, in January! 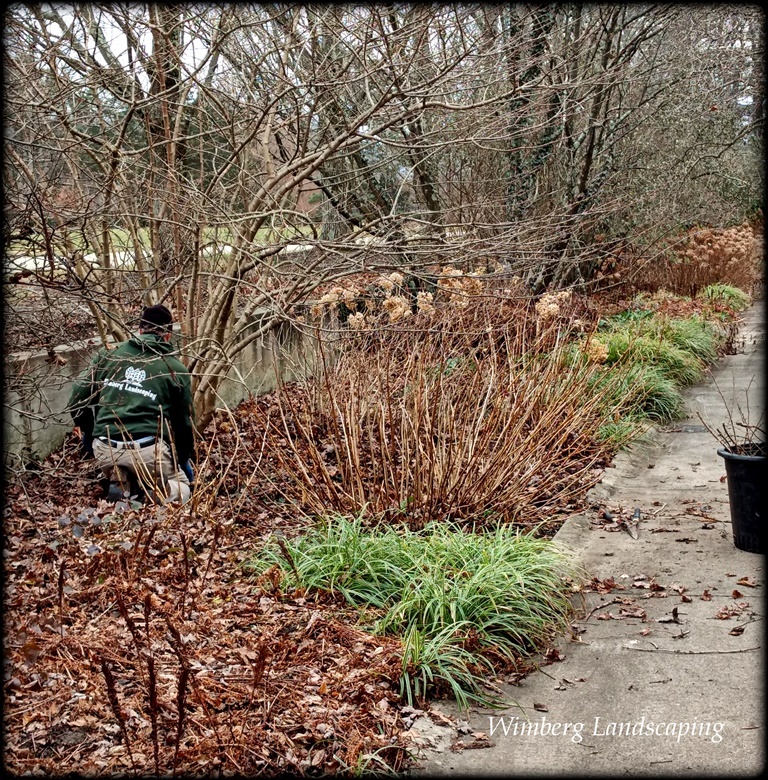 We’ve been taking advantage of this unseasonably warm weather to move forward with pruning and editing in newly acquired gardens. It’s a nice feeling, getting out in the gardens on somewhat warm days this time of the year, but it’s also a bit unsettling. I see piles of leaves and I want to remove the excess and mulch in the remaining. I want to look for signs of new growth, clean out iris blades and start planting. But, it’s January. As for the leaves. Most of the leaves that fall into your garden can be turned into the soil come spring. This time of the year they amay be providing insulation for new growth and buds close to the ground. It’s a bit messy, I know, to see leaves clumped at the base of hydrangeas and other shrubs, but they are serving a purpose. When the cold weather comes, and it surely will, we’ll be grateful that we resisted the urge to clean out the insulating leaves. So what do gardeners do in a spring-like January? Prune! If you missed routine pruning in the garden, this may be a good time to get that chore caught up. You may be removing some spring blooms, but if this is a task you tend to let fall to the wayside year after year, chances are you will not get the pruning done after the shrubs bloom. Sometimes a little sacrifice is needed to keep shrubs healthy and in good form. Look for damaged, rubbing, crossing and diseased limbs. Clean and refill bird feeders, clean out spent seeds under feeders and clean and fill birdbaths. If you are caught up on pruning, resist the urge to cut for the sake of doing a garden task. Now’s a good time to clean and sharpen your tools. It’s not an enjoyable task, I know, but being able to do it outside on a warm January day is pretty nice. I know I say this a lot, but one can never study the garden too much. Is your garden interesting this time of the year? Do you have winter interest? Was your winter interest too fragile and has bent or fallen in earlier harsh weather? Do you have winter interest that can withstand snow and ice, like holly, red twig dogwoods and decorative stone elements? Schedule an appointment with a design professional to evaluate your landscape and develop a design action plan. With this warm weather, we are planting trees and shrubs as well as installing irrigation and hardscape features. If you start now, you will be able to take advantage of this unseasonably warm weather and get a jump start on the spring and summer planting.